Following on from my earlier post on 'Small Cells & Wi-Fi in the pavements & roads', here are some more details about these underground small cells, see video below. Swisscom and Ericsson have deployed the world’s first vault site for LTE and small cells in Switzerland. Some 250 further rollouts are due in the country’s cities during 2016. 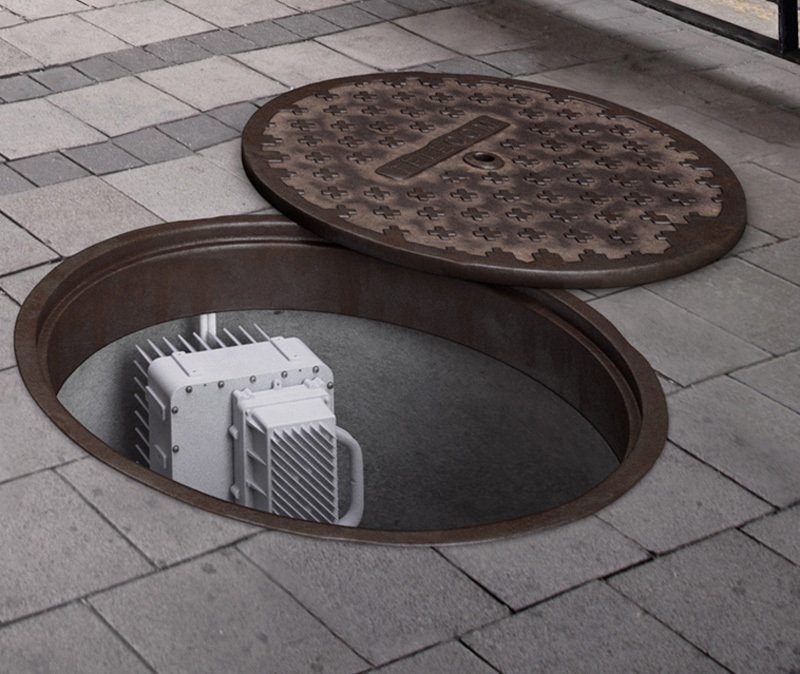 Swisscom and Ericsson have proved that city manholes can be used worldwide to improve capacity with small cells – even below street level – using the Ericsson Vault Remote Radio Unit and Kathrein’s Street Connect, an in-ground microcell antenna system. The use of existing street manholes where fiber and power already exists lowers total cost of ownership by 50 percent. This, the world’s first vault site for LTE and small cells has been approved by the Swiss authorities, and 250 new rollouts are due during 2016 in the country’s cities. The solution effectively addresses cities’ needs by enabling the reuse of existing assets and underground space. This site solution offers the best network capabilities in Switzerland by supporting the upcoming rollout of 5G. Had this sort of idea many years ago. just a couple of thoughts though. 1. The antenna will be next to useless with a covering of snow or an unfortunate flood. 2. The antenna would be best placed in that sign/information post behind where the antenna is located at the moment. 3. ICNIRP would be a problem as theoretically a member of the public could stand on the antenna opening for a long period of time. 4. The equipments location would make it difficult for an engineer to work on it safely without laying on the floor with his head down the hole. 5. I would suggest from a designers point of view that the manhole when triggered would mechanically rise from the ground allowing easy maintenance access to the equipment this would mean that the equipment enclosure could be better sealed to prevent ingress of liquids and less reliant on an engineer replacing the lid correctly. Alternatively for a cost aspect the equipment can be on an extending rack which could be pulled up out of the void for the engineer to work on (once he has installed a void cover to prevent an accident. 6. Security wise only the engineer with the correct device would be able to open it whereas a loose manhole cover could be opened by almost anyone.